In a pleasant surprise, Sony has just revealed a brand new Tetris game for PS4/PSVR -- Tetris Effect. The moniker comes from the popular phenomenon that involves seeing blocks or puzzle sequences after you close your eyes, and what better person to herald in that concept than Tetsuya Mizuguchi -- creator of Lumines and other ambitious, trippy puzzle projects. Sony noted that people will be getting their hands on it sooner than later as it is playable at E3, and in addition to a tentative 2018 release we'll get a demo eventually. 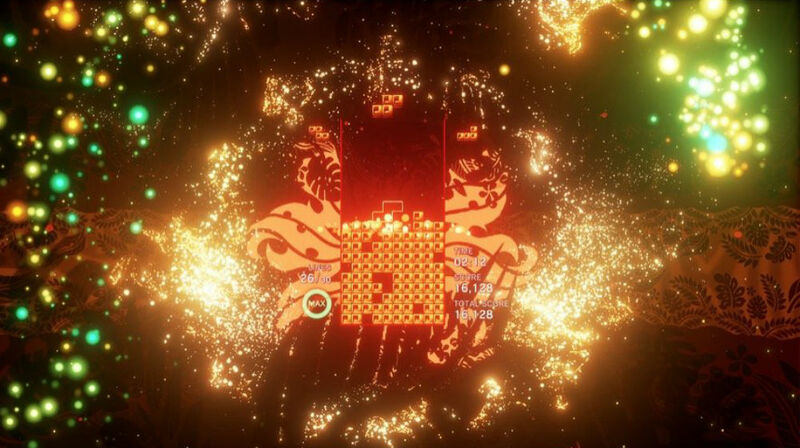 Tetris Effect supports up to 4K60FPS visuals, and optional PSVR use -- yep, as is the deal with a lot of PSVR titles recently the hardware isn't required to play.